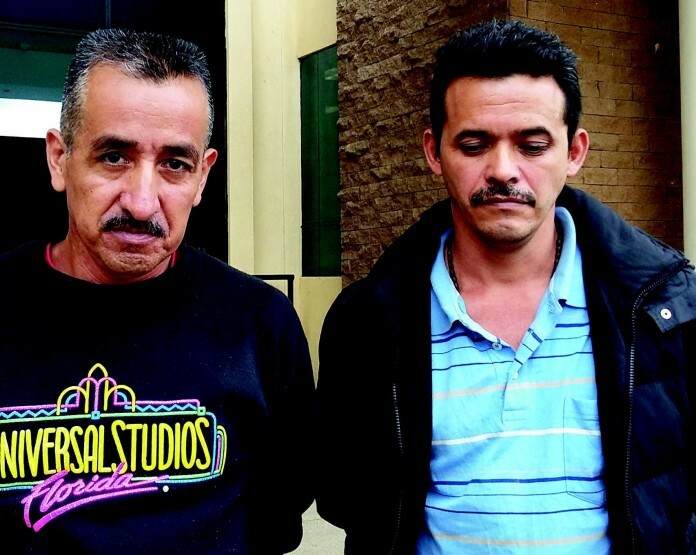 Victims of a manipulated campaign of criminalization that target social movements in Guatemala, Saul and Rogelio emerge victorious after two years of captivity. Rogelio Velasquez and Saul Mendez, social justice leaders from Santa Cruz Barillas, Guatemala, were released and acquitted of the false accusation of femicide stemming from their alleged participation in two murders committed in 2010. Supporters of Velasquez and Mendez assert that the social justice leaders were detained without charges and served 2 years in prison in an effort to criminalize their social justice struggle, despite the Prosecution Office lacking any credible evidence against them . Saul and Rogelio are water defenders with a long history as community leaders who have been representing communities against the installation of Spanish company Hidralia Energia – Hidro Santa Cruz since 2011. Upsidedownworld reports that in 2010, the community declared their resistance after they held a community-wide consultation. They argue that they were never consulted by the company on the project prior to the issuing of permits, despite the legal requirements of not only the Guatemalan constitution, but Convention 169 of the International Labor Organization’s declaration on the Rights of Indigenous Communities. Since then, Méndez, Valásquez, and other community leaders have faced intimidation and assassinations for their resistance. In May 2012, the administration declared a state of siege in the rural communities of the municipality of Santa Cruz Barillas, Huehuetenango, where the indigenous communities have protested the construction of a hydroelectric project. Hundreds of military and police were deployed to the communities, and more than 70 orders for arrest were issued for the leadership of the movement, including Méndez and Velásquez. The court’s decision does not mean that the two will be released just yet. There remains a case in Guatemala’s Constitutional Court yet to be resolved. Despite this, the decision to acquit these two political prisoners represents a major victory for communities that have faced criminalization for their defense of their territory. The case against Velásquez and Méndez reflect the use of laws, such as Guatemala’s 2008 Law on Femicide and Other Forms of Violence Against Women to criminalize the leaders of the social movements challenging the construction of mega-projects by transnational companies. “These false accusations made against these people and movements struggling for the defense of territory, attributing abominable crimes to them, [crimes] that are abominable to the human rights movement, are trying to leave [these people] isolated and unsupported,” wrote Quimy de León for the website Prensa Comunitaria. Femicide, defined as the murder of a woman by a man in the context of unequal power relations, has been a major problem in Guatemala in the years since the end of the internal armed conflict. “The criminalization of protesters through charges of femicide is a perversion of the original aims of the law: to bring justice to acts of femicide and violence against women in Guatemala,” said Julia Hartviksen, a doctoral research student from the Gender Institute at the London School of Economics. But this manipulation is part of a larger campaign of criminalization of social movements in Guatemala. Northern Huehuetenango has become a symbolic example of the criminalization of social movements. Community members there face criminal charges for their defense of territory against the arrival of mega-projects. According to lawyers involved in the defense of movement leaders, charges have become increasingly worse, and reflect the manipulation of the country’s laws by the companies in order to criminalize and exhaust the movements that challenge mega-projects. The criminalization of social movements extends beyond northern Huehuetenango, and impacts all movements in defense of territory. International organizations such as OXFAM and the Guatemalan Human Rights Commissions, and others have increasingly raised concern over use of criminal charges against leaders of community movements, and human rights defenders. In early 2015, OXFAM issued the report ‘We Only Want To Be Human,’ highlighting cases of leaders of the social movement and their supporters. “Human rights defenders suffer criminal prosecution, conviction, and deprivation of freedom by both public and private actors, who use the criminal justice system to deter, suppress, and limit the work of human rights defenders.” the authors of the OXFAM report write. There is a clear campaign to exhaust the social movements of Guatemala with legal charges. Since 2012, the communities of San Jose del Golfo and San Pedro Ayampuc have maintained a permanent blockade of the entrance of the El Temblor gold mine, which is owned by the Reno, Nevada based Kappes, Cassiday, & Associates (KCA). The “La Puya” resistance fears that the mine will significantly pollute their water and land. In September 2013, charges were filed against 12 of the leaders of the movement for alleged “illegal detention” of workers, “coercion,” and for “threats” against workers from the mine. The 12 defendants had been involved in the alleged kidnapping of workers from the mine. On February 27, 4 of those facing charges went before Judge Elvis Hernández of the 8th Criminal Court in Guatemala City, who proceeded to acquit the defendants from La Puya, a small victory. Despite small victories, the community is on edge. Members fear that false charges could be brought against them at any time.